The Japanese culture is commonly known for their health and happiness within and throughout their day-to-day lives. They live by the phenomenon of “Neurogenesis” – a scientific study that believes our brains continue to change, grow and adapt till the day we die. Part of this theory comes from the fact that most of the things that make us feel good, in the long run, are also things that enhance the neurogenesis. Exercise, meditation, beautiful surroundings and so on, just to mention a few counted as part of this. There is a correlation between neurogenesis, happiness, and health. 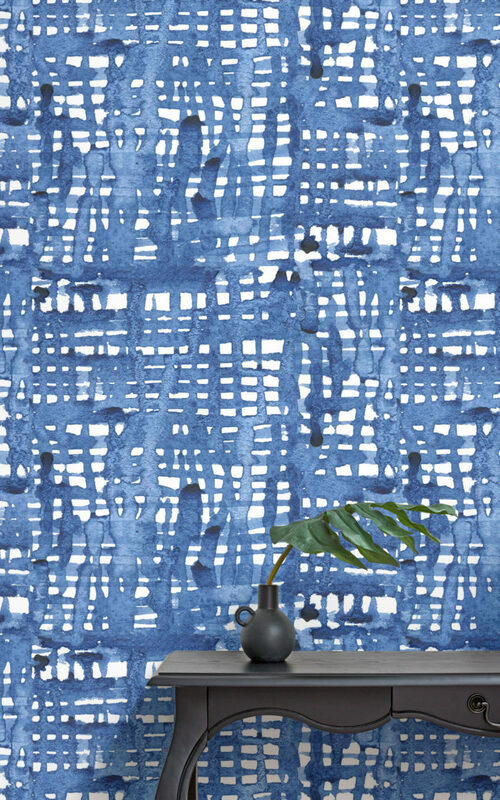 The Shibori Wallpaper Collection injects a real sense of ethereality to your interiors. They are perfect for creating a sanctuary within your own home. Implemented as a feature piece, the intricate details of the designs can completely elevate your living area, sending out an aura of serenity and adding a true element of creativity to your home. Being surrounded by a space that feels collected and whole, sends calming signals to the brain, adding an element of neurogenesis to your life. 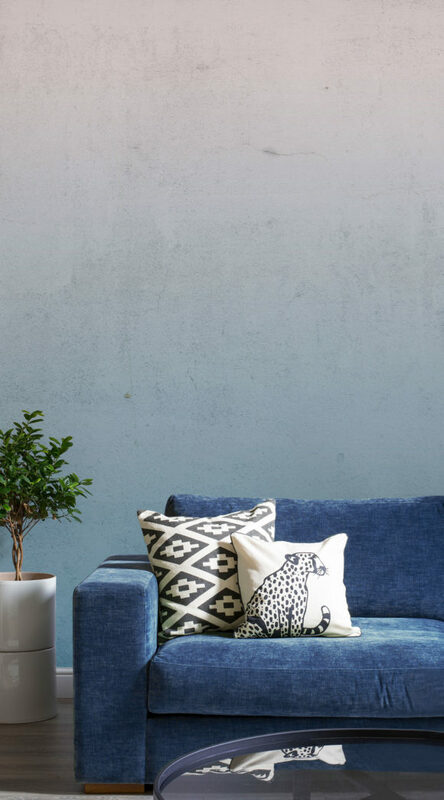 By simply hanging as a beautiful piece of art on your wall, the Shibori designs can create a peaceful place for you to retreat to at the end of the day, and with little effort, adds positive value to your life. 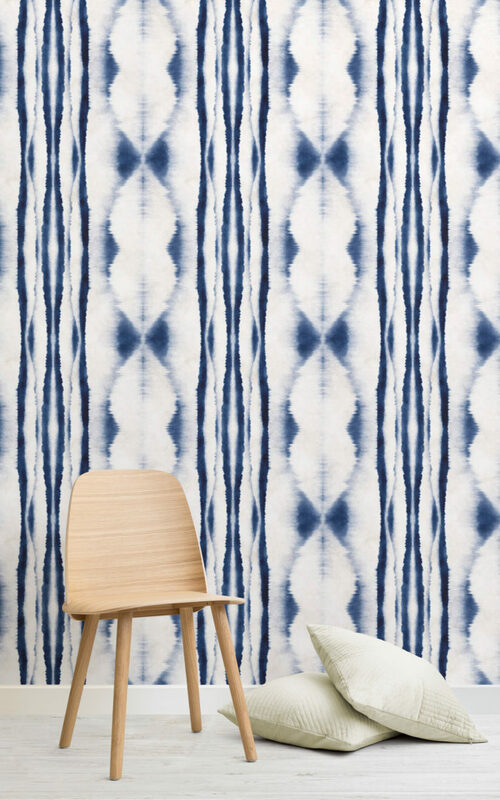 Shibori designs are perfect for enhancing minimalist spaces that require less styling. The products hang beautifully in their own light, and are perfect for taking centre-stage in a room. The Japanese inspired patterns and colours inject a calm atmosphere, making your interiors a part of your home. The Japanese style of the wallpaper murals pairs really well with Scandinavian inspired interiors. 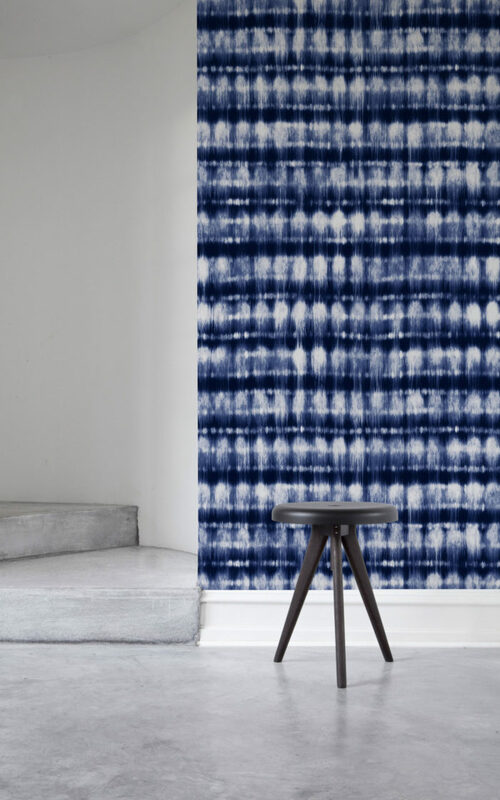 Especially the Kyoto Shibori and Seto Shibori Wallpapers. They are simplistic in style and leave a lot of breathing space around the details of the mural, making for the perfect choice if you are looking to create a space inspired by both cultures. We have styled these two designs with simple, iconic pieces of furniture, that enhance the beauty of their simplicity. Sticking to a colour scheme, that either contrasts or compliments the design, is key in styling any of the Shibori murals. 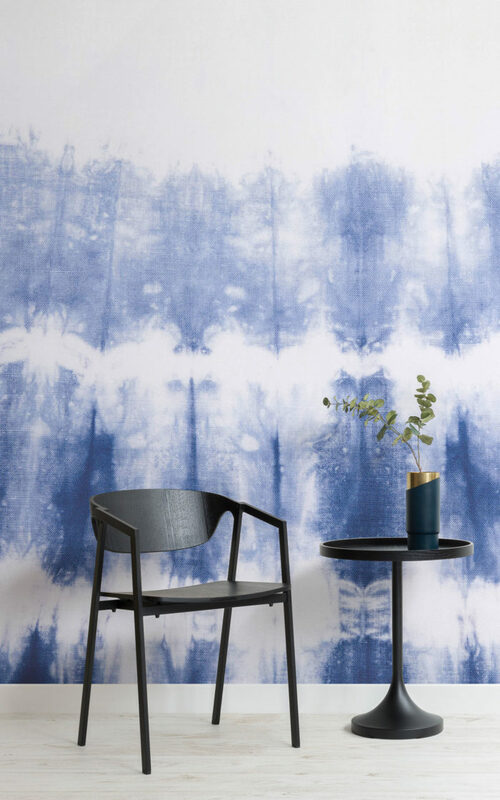 The Shibori wallpapers have been enhanced with timeless pieces furniture, that are classic and sophisticated and adds a hint of interior flair. Implementing a touch of botanical, brings the whole space to life, and compliments the Japanese style of living that the designs represent. 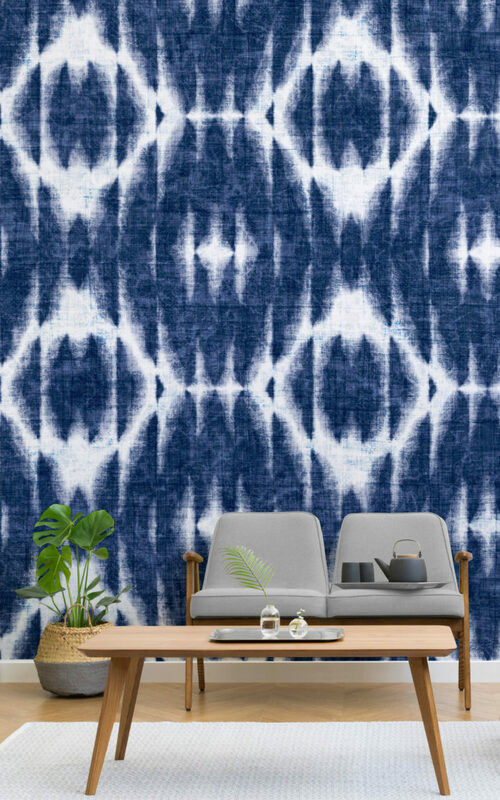 This Shibori Collection reflects the parts of the Japanese culture that represent health and happiness, and through the ancient form of the Shibori art, a beautiful and sophisticated collection of murals has been formed. Implemented into modern homes and transformed into stunning pieces of art, the murals create sanctuary spaces. Inspired by the Japanese way of life, this collection opens up the idea of bringing neurogenesis into your life, by implementing beautiful design into your interiors.